WHAT DOES IT TAKE TO OVERCOME FEAR OF FLYING? 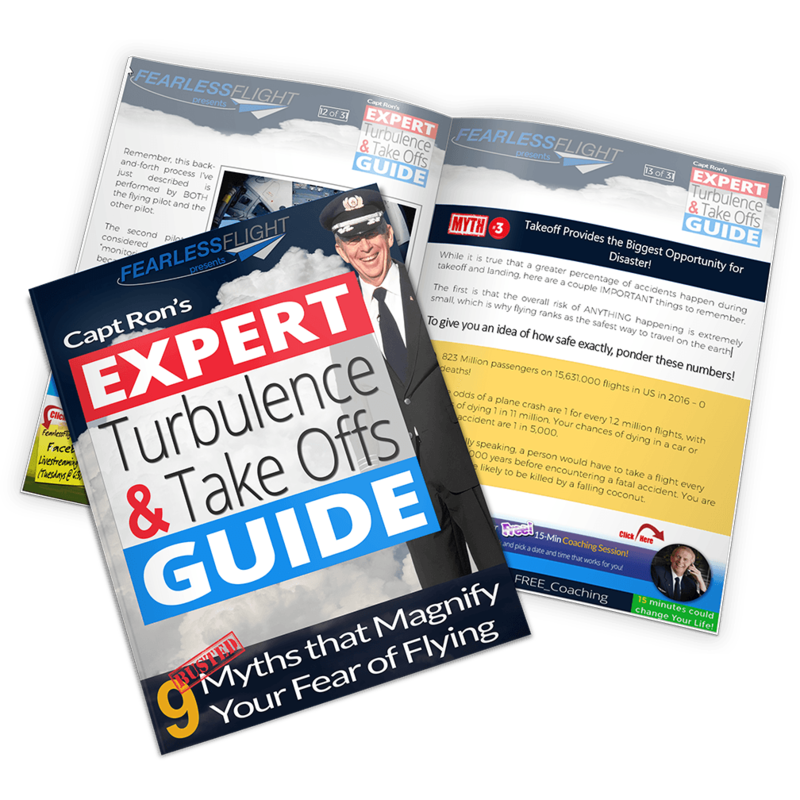 I’ve observed that overcoming fear of flying is a process. There are no “quick fixes.” Recently I received the following email from Suzanne, another traveler on her path to flying fearlessly, that illustrates this in detail. I want to thank you for your help over the past 4 years and pass on this review of your materials to other fearful fliers. I flew often as a child and loved it. Fear of flying occurred unexpectedly in my 20s during a normal flight. It increased over the years to a level where I would become hysterical on board. I flew infrequently and only where necessary – that is overseas. In Europe I became a veteran of many long (and enjoyable) train journeys from my home in Scotland – to France, Italy, Austria, Hungary, Sovenia and Croatia. Often I would take the train out to meet my husband or family at our destination. By the time my daughter took a gap year in Canada four years ago, I had avoided flying for years and was too frightened even to go on a fear of flying course because I would have to go up in a plane. I knew I had to fly that year, and in absolute desperation sent for your Flight Harmoniser CD and information book. I read the book and listened to the CD on my iPOD daily for 6 weeks before my flight. Far from fearless, I nevertheless coped well before and during the flight, assisted by prescribed medication. I managed to make 4 transatlantic flights that year. Since then I have flown very occasionally when train travel was not an option – each time using the flight harmoniser beforehand and assisted by medication. Each flight has become a little easier to do and finally this autumn I found the courage to tackle a flight to Singapore – 15 hours. I was surprised to find I did not dread flying and was rather looking forward to the journey. I felt happy to use the flight harmoniser a couple of times beforehand. As we were travelling via Dubai, I knew I could not take prescribed medication and would have to rely on the flight harmoniser and other coping strategies during the flight. I found the flight perfectly comfortable and was relaxed even though the first leg of the journey meant travelling through 6 hours of turbulence. I even slept during the turbulence. Our plane was destined for Melbourne, and when we arrived in Singapore I felt that I could have tackled the final leg to Australia. The sense of liberation I felt was incredible – the whole world was finally opening up to me. Three weeks after my return I flew to Milan. It took 2 hours – the train journey takes 2 days. I still don’t like flying. But I do find it exciting now and certainly don’t dread it. And I think there may come a time when I will enjoy it – like I did as a child. What I would like to pass on to others with fear of flying is that, for me, the materials have worked their magic over a period of years, rather than weeks. For me, every flight was a little easier than the one before until I found I didn’t dread flying at all. I don’t understand WHY the harmoniser works, but it does work and that’s good enough for me. Next year I plan to fly to Copenhagen, Vancouver, Singapore and Vietnam. If I can do it, anyone can. The “CD” and “Flight Harmoniser” to which Suzanne refers is the FearlessFlight™ Harmonizer, the best-selling audio program that is a soothing distraction from the “obsessive thought loops” that often spiral into anxiety and panic attacks. To learn more about how you can become a success story like Suzanne, visit our coaching page and schedule your fee 15-minute coaching session today.